“Carving out Artificial Hand” (sic.). 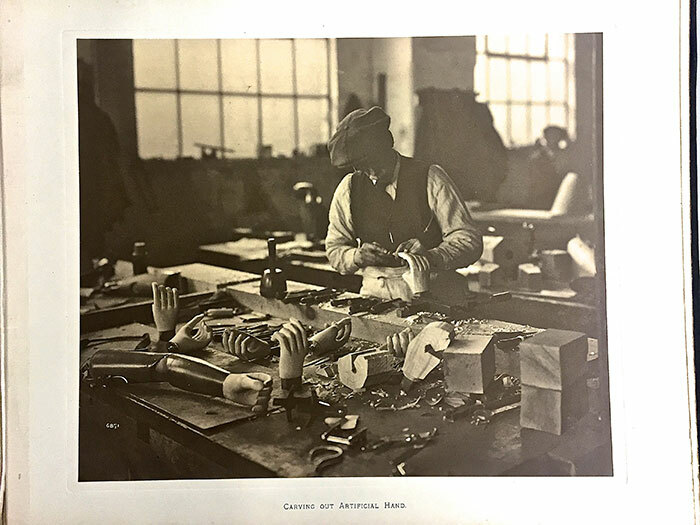 The Manufacture of Artificial Limbs for the Princess Louise Scottish Hospital for Limbless Sailors and Soldiers. Glasgow: Macklehose, 1917. n. p. Courtesy of the Wellcome Library, London.